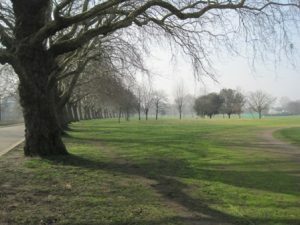 Victoria Park in the northern part of London’s East end is 86 hectares of meadows, trees and formal gardens set around two lakes. The Regent’s Canal runs along the south and west sides of the park and is pleasant to walk along especially on a summer day. The park was donated to the people by Queen Victoria, it was the first public park and opened to the public in 1845. There are a number of good bars and restaurants on the northern edge of the park on Grove Road.